The City of Fremantle has launched a bold new marketing brand designed to attract more visitors and reinforce Fremantle’s status as a major tourism destination. 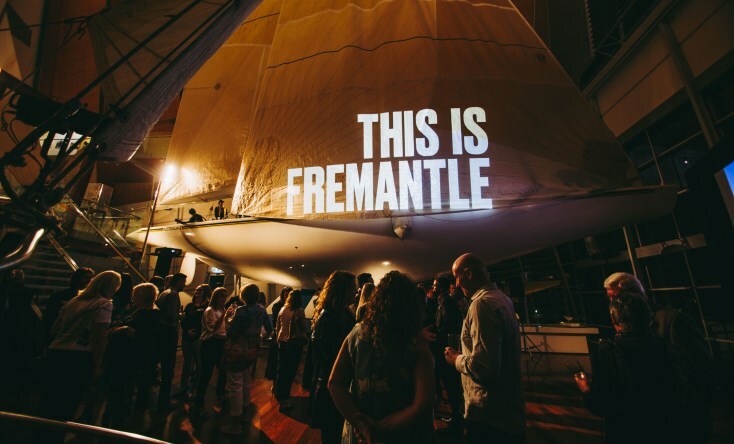 The ‘This is Fremantle’ brand was unveiled to a gathering of state government ministers, tourism industry officials and local business representatives at the WA Maritime Museum last night. Fremantle Mayor Brad Pettitt said the new brand highlighted Fremantle’s vibrancy and culture, and also captured Fremantle’s proudly independent spirit. “Fremantle is different and we make no apologies for that – it’s why people love it,” Mayor Pettitt said. “This new brand and the campaign to come is a reminder to everyone that Fremantle is an important tourism asset that attracts visitors from around the world, so it should be leveraged to market the whole state. “Fremantle is in the middle of a period of unprecedented investment in new hotels, new residential and retail spaces and new hospitality offerings, so now is the right time to be launching a new brand and visual identity for the city. The new brand is the culmination of a six month project delivered by the City of Fremantle, the City’s Destination Marketing Working Group and award-winning creative agency Juicebox. Working Group chair Linda Wayman said the ‘This is Fremantle’ brand not only emphasised the city’s colour and fun, but also reflected the growing maturity in Fremantle’s tourism offering. “The new brand is a bold and contemporary stake in the ground that echoes the spirit, soul and intimate connection to the sea that Fremantle is famous for,” Ms Wayman said. The ‘This is Fremantle’ brand will be incorporated into all of the City of Fremantle’s destination marketing materials like maps, brochures and event programs and featured in new banners and signage throughout the city. The City’s Fremantle Story and Visit Fremantle websites will be merged to create a one-stop-shop for visitor information, and social media platforms will be updated in line with the new brand. Six short videos have been produced for television, internet and social media, and will also be shown on the big screens at Optus Stadium during Fremantle Dockers home games. An advertising campaign utilising billboards, digital platforms and other media will be rolled out next month. The launch of the new brand has been timed to coincide with the Australian Tourism Exchange being held in Perth next week, where promotional packs including video and images of Fremantle will be distributed to tourism industry buyers from around the world. Industry briefing sessions for local businesses are being held at the City of Fremantle over the coming weeks. The City will also be visiting businesses and handing out materials on how they can engage with the new brand. To watch all the ‘This is Fremantle’ videos click here. To view the new Visit Fremantle website click here.